Professionalism and personal care are the hallmarks of the Law Offices of Ann S. Bergen Co., L.P.A. Our experienced professionals provide comprehensive legal services to our clients. We pride ourselves on providing knowledgeable counsel, being available when needed and answering client questions in a timely manner. We take the time necessary to carefully explaining your alternatives and rights. 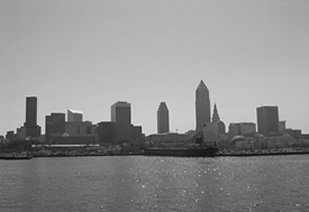 Located in downtown Willoughby, we represent individuals and businesses throughout Northeast Ohio. Let us help you meet your legal challenges and improve the quality of your life with our professional and personal legal counsel. At the Law Offices of Ann S. Bergen LLP we pride ourselves on being accessible, efficient and responsive while striving for excellence in the quality of work and services we provide our clients. Above all the firm is founded on honesty, integrity and loyalty to each other and our clients. We foster a strong commitment to community and provide pro bono and public services through active participation as a firm and individuals. We recognize the importance of an enriching environment and maintain a strong focus on teamwork while promoting continual personal and professional development.